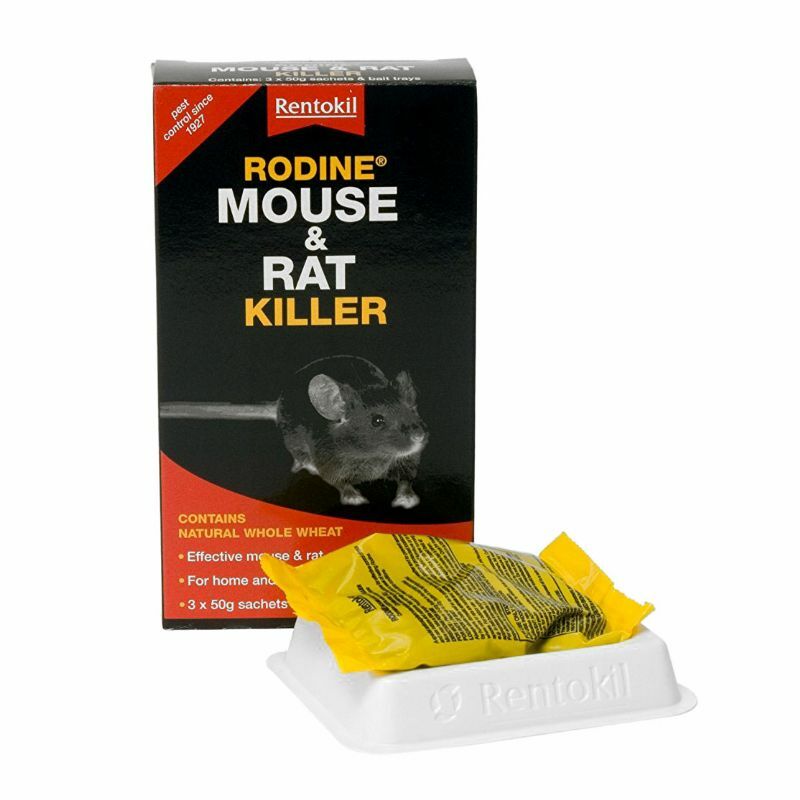 Rodine Mouse and Rat Killer is suitable for treating both rats and mice. It can be used within the home and in the garden to control rodents. Use in house and garden. Effectively treats rats and mice. Bait trays for poison are included.